NeverTapGear.com was founded by martial artists in order to design and provide joint supports specifically for grappling and combat sports. We offer a money back guarantee & low price assurance on all our products plus free shipping on qualifying orders. 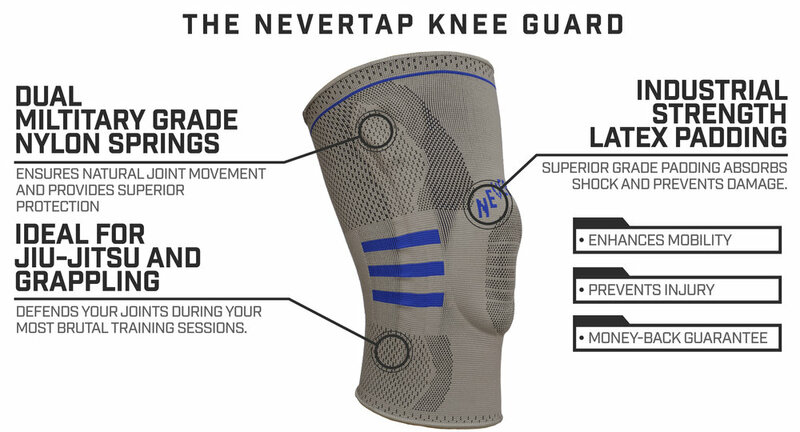 You can be sure that your NeverTap Gear product will provide you the best joint defence and recovery support available. Thank you! We’ll be in touch with news about upcoming gear, events and more.